Soap Making Adventure: Start making soap! It's been a couple of days since I posted about what to do Before you start making soap and now I owe you the rest of the story. 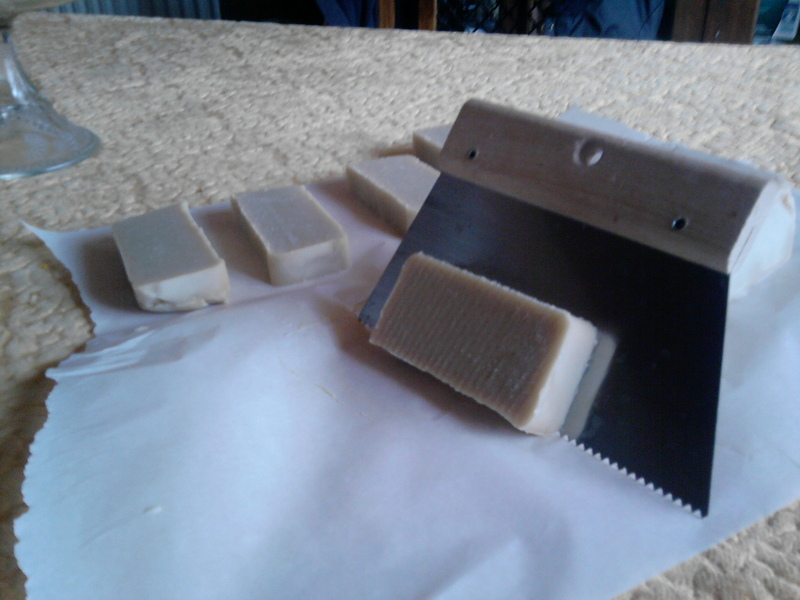 I hope that the previous post hasn't put you off the whole idea, it's really not that complicated, it's just that you really, really have to take safety measures when making soap and make sure to have your basic supplies and utencils at hand. You really don't want to lose time searching for something when you're making soap, because in Cold Process soap making procedure it's really all about timing and precise measurment of your ingredients. You don't need some expensive oils, butters, essential oils and colors to make that first batch of soap, you can make it with whatever oil you have, or even lard. 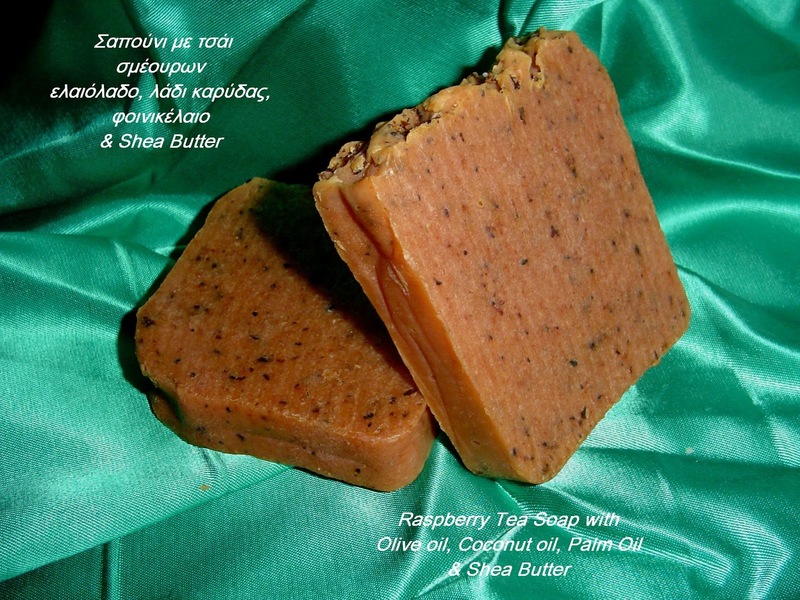 Since I live in Halkidiki, which is blessed with perfect conditions for growing olives, we have our own olives and I'm mostly using olive oil in my recipes, but for your first soap you can use whatever oil you use for cooking. As you experiment with this procedure, you'll gradually try different variations, like using tea instead of water, using oils and butters in percentages that will achieve the desired results in soap, coloring the soap with spices or food colorants, adding fragrance etc. On the other hand, if you feel confident now and you want to try the recipe which involves more then one oil, I recomend this recipe with Olive oil, Palm oil and Coconut oil. 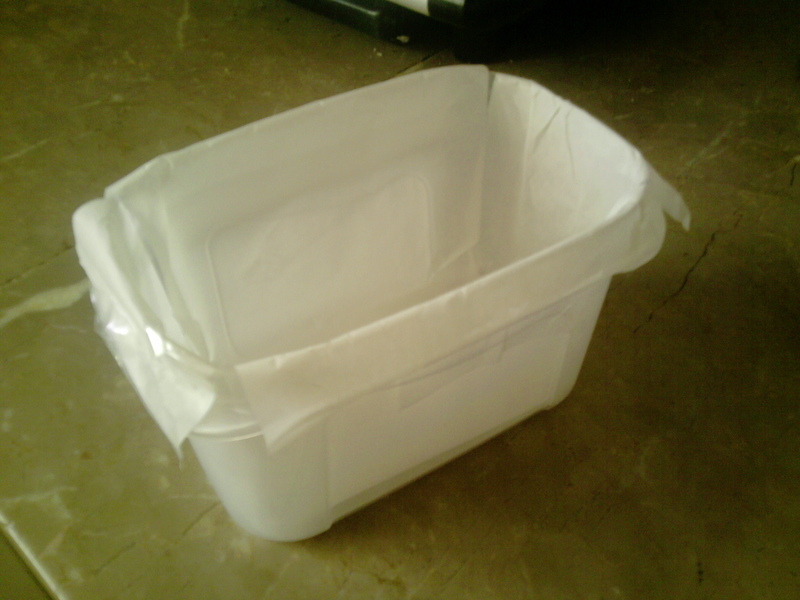 Chose the mold or molds you want to use and line them with perchament or wax paper. Again, you don't have to go and buy some expensive mold, you can use a regular cake mold (that you won't be using for cooking again) shoe box, tupperware, milk or juice tetra pak (if you cut one side of the carton) or an old drawer. I've even used a Pringles box for my round soaps. Try to make it as even as possible, because every crease on the paper will be visible on your soap. There's a great lining tutorial here. It's in Greek, but it's a photo tutorial, so you shouldn't have hard time understanding it. How to calculate the amount of oils you'll be needing for your mold? Wear your apron to avoid soiling your clothes. Use that digital scale and measure your oils; write it down and then use this Cranberry Lane's Lye calculator to see how much lye (caustic soda) and water you'll need for your oils. It's a very handy tool, I have it bookmarked on my browser for an easy access. Write the amounts. Put your goggles and your gloves on. 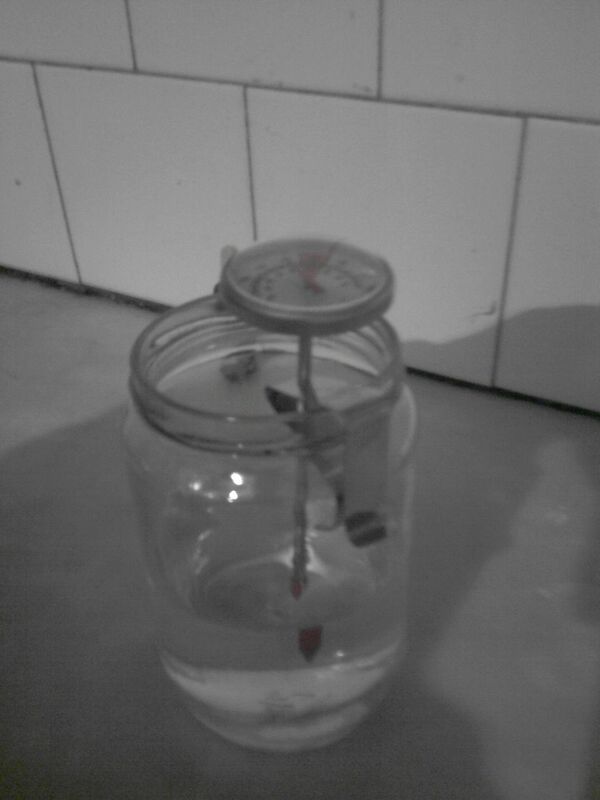 I use a small glass bowl and stainless steel spoon to measure my lye. Make sure not to use these afterwards in food preparation, keep all your utencils separate and use them only for soap making. Turn ON the digital scale, put the empty bowl on it, then push the button that turns the scale back to zero. Now, use your spoon to add lye into the bow, little by little, untill you reach the amount you need. Turn OFF then ON the scale and reapeat the same with your pyrex container (or mason jar) and add distilled water slowly in it. Add caustic soda (lye) to the water slowly and stir. Put the thermometer in the jar. Mine has an addition that makes it possible to fix it onto the jar. 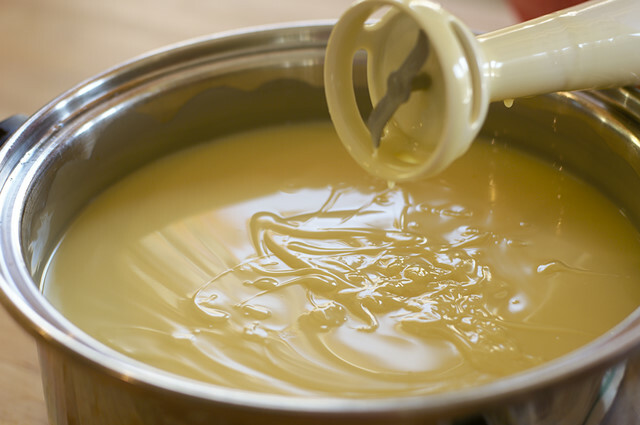 If you are using solid oils like Palm oil, Coconut oil, Shea Butter etc, you need to melt them either by using a double boiler, microwave, or together with your liquid oil in a pot, on a low temperature ( don't overheat them). If you don't have two thermometers, you can use the one you are using for the lye, but make sure to wipe it clean with a paper towel every time you move it from lye to oils and vice versa. When the temperature of both lye and oils is the same (about 35 degree Celsius = 95 degree Fahrenheit) pour the lye solution slowly into your oils, never the opposite. Stir with your spatula a bit, put your blender stick into the mixture and start mixing by keeping the blade under the surface of the mixture to avoid splashing it all over. Your oils will start changing color and become thicker as you stir, it's a sign of saponification. Stop the blender every now or then, use the blender stick to stir it a little and check for the "trace". When you use blender, the trace will be quick to show. Just lift your spatula or blender and let some mixture drizzle down. If it doesn't dissapear in again it will leave small traces on the surface like this. If you want to add fragrance, essential oils or color, now is the time. Then stir it once more with the blender and that's it. Pour the soap mixture into your mold. Lift the mold with both hands and hit it lightly on the counter to get those bubbles out and even the mixture with spatula, or wait a little until it's a bit more thick and use a stick or a spoon to create ruffles. Cover it with another perchament or wax paper, cover with an old towel or a blanket and put it some place warm to insulate for 24 - 48 hours. After it's ready, take it out of the mold and cut the soap bars with a knife or a soap cutter and place them at the distance one from another on a clean sheet of wax paper or a metal rack, somewhere cool, to "cure". The curing process may take anywhere from 4-6 weeks. Olive oils soaps tends to take long to cure. That's it. Now all you have to do is keep your hands off those beauties until they are ready. How will you know if they are ready? The ph of your soap should be somewhere from 7 to 10. You can purchase ph metric stripes from the pharmacy, take one soap and run some water to make lather on your hands, test the lather with the stripe. You are a superstar. Thank you so much for your explanation. Aww thanks, that's really kind of you! If you go ahead and try making it, send me some photos of the result and I'll post them.